According to rock-and-roll lore, Bob Dylan was the man who first gave cannabis to The Beatles. Indeed, for investors today, a Dylan song from the 1960s comes to mind: The Times They Are a-Changin’. Once a symbol of counter-culture rebellion, marijuana has evolved into a multi-billion-dollar industry. “Mary Jane” has moved from Woodstock to Wall Street, representing a disruptive force for a slew of industries, including pharmaceutical, tobacco and beverage companies. The result has been a proliferation of marijuana penny stocks that are captivating investors who seek fast riches. One penny pot stock garnering considering investor attention lately is Cannabis Science (OTC: CBIS). What’s the real story behind CBIS? Below, I provide answers. But first, some context. Canada’s nationwide legalization of marijuana in 2018 boosted the entire cannabis sector. In the U.S., 10 states and the District of Columbia have full marijuana legalization, and another 23 states permit medicinal uses with permission from a doctor. More states are lining up to join the legalization bandwagon. On April 8, a state legislative committee in Connecticut was getting ready to vote on legislation that would pave the way for legal recreational marijuana in that state. The proposed federal bill seeks to expedite the provision of financial services to cannabis companies by removing the fear of potential federal action against lenders. Many banks are reluctant to lend to marijuana businesses because of uncertainty over the industry’s legal status. Pot remains illegal at the federal level in the U.S., but some politicians want to change that. In February 2019, U.S. Sen. Cory Booker (D-NJ) reintroduced legislation to legalize marijuana nationwide and expunge federal convictions for possession or use of the drug. Booker is running for president in 2020 and his rivals for the Democratic nomination support the bill. As marijuana becomes increasingly legal, the recreational and medical uses of this apparent wonder herb represent a huge investment opportunity. In particular, cannabis-based medicines present some of the most intriguing plays in the entire biotechnology sector. For conditions ranging from epilepsy to multiple sclerosis, to glaucoma, to even cancer, compounds derived from the plant are achieving remarkable results when conventional therapies can’t. So what’s it all mean for Cannabis Science and its investors? Let’s find out. Cannabis Science is a biotech based in Irvine, California. Incorporated in 1996, the company sports a market cap of $107 million. The company’s goal is to obtain U.S. Food and Drug Administration (FDA) approval for cannabis-based medicines, with a focus on treating skin cancer (particularly basal and squamous cell carcinomas), HIV, and post-traumatic stress disorder (PTSD). To date, the FDA has not approved any cannabis component for any of these indications. Cannabis Science has a research collaboration agreement with Dana-Farber Cancer Institute to develop cannabinoid-based cancer treatments, as well as with Stellenbosch University to treat chronic pain. Cannabis Science operates two pharmacies in California, with a line of products ranging from inhalation aerosols, to drops, patches, capsules, extracts, creams, and balms. How Has Cannabis Science Stock Performed? CBIS shares have lost 30.7% over the past 12 months, compared to a gain of 10.3% for the S&P 500; fallen 55.2% over the past two years compared to a gain of 23.7% for the S&P 500; and lost 68% over the past five years compared to a gain of 54.5% for the S&P 500. What Is Cannabis Science Stock History? As is often the case with small-cap biotech stocks, Cannabis Science has been volatile. Shares have demonstrated a tendency to suddenly spike up or down, based on a press release or Wall Street rumor. The stock also has moved in tandem with the volatility of the overall marijuana industry, which typically gyrates according to policy or legal developments. How Has CBIS Performed In 2017/2018? CBIS shares gained 56.7% in 2017, compared to a gain of 19.4% for the S&P 500. In 2018, CBIS lost 73% versus a loss of 7.5% for the S&P 500.
Who Are Cannabis Science’s Rivals? The marijuana industry has a few well-capitalized stocks traded on major exchanges, but most pot companies, like Cannabis Science, are penny stocks traded Over the Counter. With a market cap of $5 billion, GW Pharmaceuticals is perhaps the best-known pharmaceutical company developing cannabinoid treatments. Through partnerships with Big Pharma, the company is already marketing its Epidiolex multiple sclerosis treatment in more than 20 countries. The company has other products in the pipeline, including therapies for glaucoma and schizophrenia, and a potential treatment for a particularly aggressive form of brain cancer. With a market cap of $239.3 million, this biotech focuses on genetic engineering and plant breeding and is developing a new strain of hemp with zero THC, the main psychoactive compound found in cannabis (the compound that produces the “high” that’s keeping marijuana illegal on a federal basis in the United States). Apart from medical uses, a THC-free plant would have huge ramifications for the industrial hemp industry, which is all but crippled in the U.S. Hemp is one of the world’s most sustainable and practical basic materials, yet has been illegal in the U.S. since 1970. The low-nicotine variety has proven effective in helping smokers kick the habit and is gaining the support of tobacco scientists worldwide. INSYS has been racing GW Pharmaceuticals when it comes to pediatric epilepsy treatments. But this biotech (market cap: $556.5 million) also has other products in its pipeline that could boost its shares exponentially when they receive approval. The company is developing cannabis-derived drugs for easing opioid dependence and moderate-to-severe pain. But it has already received approval for Dronabinol, an orally delivered solution that eases nausea and vomiting associated with chemotherapy and AIDS, as well as eating disorders. Will CBIS Go Up In 2019 (Should You Buy)? Cannabis Science certainly enjoys several powerful tailwinds. In April, the company announced that it was expanding into the strategically crucial market of Canada, by forming a new subsidiary called Cannabis Science Canada. Let’s examine the political revolution that has fueled the rise of canna-business. On October 17, 2018, Canada became the second country, after Uruguay, to legalize possession and use of recreational cannabis for all adults. Medical marijuana has been legal in Canada since 2001. Canada has left it to the provinces and municipalities to determine parameters, such as where cannabis can be bought and consumed. Analysts expect demand for marijuana to surge in Canada, creating an acute shortage. Scarcity of weed should be manna for marijuana investors. Canada’s approach toward marijuana differs from that of its southern neighbor. In the U.S., marijuana remains illegal on the federal level. However, individual states can adopt their own legal standards for marijuana thanks to Congress, which prohibits drug enforcement agents from pursuing marijuana growers and users in states where pot is legal. Arcview Market Research estimates that the recreational marijuana market will account for nearly 70% of that global spending by 2024, with medicinal treatments taking up the rest. Cannabis Science is doing its best to exploit these trends. Nevada regulators in July 2018 approved a new 40-acre industrial hemp research and development project in the state for a biotech consortium including Cannabis Science. The main R&D focus will be on cancer, PTSD, chronic pain, arthritis, Parkinson’s disease, epilepsy, autism and HIV/AIDS. In October 2018, Cannabis Science won a U.S. patent for compositions of cannabinol for treatment of various neurobehavioral disorders, sleep deprivation, anxiety disorders, and PTSD disorders. Cannabis Science and its peers should also benefit from the departure announced in March of Scott Gottlieb as FDA commissioner. Gottlieb was trying to crack down on some of the unverified health claims made by the marijuana industry, as well as under-aged “vaping” of electronic cigarettes. His replacement is likely to be more industry friendly. And yet, despite all of these advantages, does Cannabis Science really have what it takes to reward investors over the long haul? Will CBIS Go Down In 2019 (Should You Sell)? Without a doubt, there’s money to be made in the medical marijuana industry. But you should steer clear of thinly capitalized marijuana penny stocks that lack significant products in the marketplace. Investors are indiscriminately throwing their money at marijuana stocks with a lemming-like fervor that’s reminiscent of previous market frenzies — Dutch Tulip Mania and the Dot.Com bubble come to mind. Driven by hype and increasingly populated by indebted and poorly managed microcaps, the marijuana industry is poised for a brutal shakeout. The survivors will be those with solid balance sheets, FDA-approved products, and partnerships with giant drug firms. Regrettably, Cannabis Science has many of the characteristics of a dangerous marijuana stock that you should avoid. With cash on hand of only about $29,000 and total debt of $2.7 million, the company’s balance sheet isn’t pretty. The 12-month trailing price/sale ratio is a staggering 14,421.91, a nosebleed valuation even though the company continues to lose money and demonstrates no revenue growth. Year-over-year revenue growth (most recent quarter) came in at -15.2%. Return on assets came in at -384.6%. And despite its breathless press releases, the company has no major products in the marketplace. The company’s web site resembles a digital Potemkin Village. The verdict for CBIS? Not favorable. Cannabis Science has consistently under-performed the broader market as well as its peers. 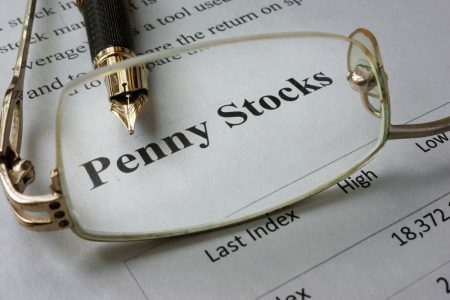 There’s no reason to expect this risky penny stock to turn around its fortunes in 2019. In fact, despite the huge opportunities in the marijuana industry at large, you should consider Cannabis Science a toxic stock to avoid. I remain bullish on the marijuana sector, but you need to separate the wheat from the chaff. As with any investment, tune out the hype and focus on the fundamentals. CBIS is fundamentally flawed and probably has further to fall.